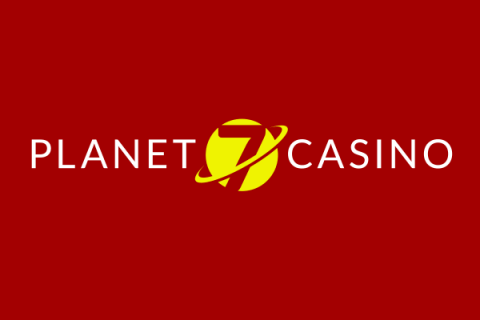 Planet 7 Casino has a number of promotional offers for its players. New players begin with the Welcome Bonus, and move on to match deposit bonuses, and more. There are both bonuses and free spins available in the Trading Cards promotion for the next few days. The Trading Cards promotional offers comes with bonuses up to a maximum amount of 300%. Along with the no max bonus, there are up to 50 free spins up for grabs too. The promotion runs until 12th August 2018. There are four Trading Cards available at Planet 7 Casino at this time. The Rookie Card has a 200% no max bonus that comes with 20 free spins. The bonus and free spins are played on jackpot Cleopatra’s Gold. Deposit a minimum of $30, and use the TRADINGCARD20 bonus code to redeem this offer. Cash Bandits 2 is a popular slot that comes with a 250% no max bonus along with 30 free spins. To redeem this bonus offer, deposit at least $50 with the code TRADINGCARD19. Next up is the Bubble Bubble 2 Trading Card. This offer has a 300% no max bonus with 50 free spins on the Bubble Bubble 2 slot. Enter the TRADINGCARD23 code when you make a $75 or more deposit to redeem this offer. It’s always worth being a VIP at Planet 7 Casino. The Caesar’s Empire Trading Card offers a large bonus amount. Make a minimum deposit of $75, and enjoy a whopping 325% match deposit bonus. The bonus comes with 50 free spins on Caesar’s Empire. VIP players redeem this bonus with the TRADINGCARD24 coupon code. Trading Cards bonuses have a small 5x play through requirement to complete on either slots or keno games. Play through both the bonus amount and your deposit amount in order to complete the wagering requirements. Since the bonus has no maximum, it means that your cash out amount is not limited. The initial bonus amount awarded is not part of the cashable winnings, and cannot be withdrawn. Make sure to enter the free spins coupon code in order to redeem your free games. Complete all free spins before you play any other games at the casino. Free spins winnings have a 5x play through requirement. Once this is fulfilled, you have no limit on the size of your withdrawal. Last updated by Shannon on August 9, 2018 .